People who invite me to baby showers know, without a doubt, that I will bring books. Let other people bring the onesies, and diapers, and nose-sucker-outer thingies, I will bring the important stuff- food for the heart and the brain. Last week, while I was at the library (please note, I did not say bookstore!) I found a couple of really fun baby or toddler read alouds. 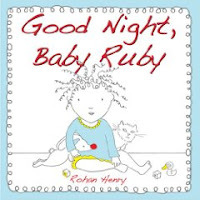 Baby Ruby has had her bath, and should be headed off to bed, but no one can find her. She travels throughout the house, stopping to visit various family members and pets along the way. This book is destined to be a classic, kind of along the lines of GOODNIGHT MOON. The illustrations are very simple- black line drawings with just a little color, just like the cover. I know kids will ask for this book again and again. PEEKABOO BEDTIME features an African American toddler preparing for bed by playing peekaboo with everything in her line of vision, e.g. "Peekaboo, I see my daddy" OR "Peekaboo, I see my cat." The book begins with a right hand page with the phrase, "Peekaboo, I see…" When you turn the page, you see the object the child is seeing. It would only take kids a couple of pages to realize that clues in each large, brightly colored illustration allow the reader to predict what is coming next. 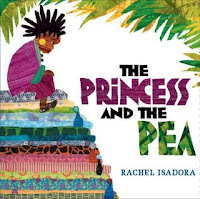 An aside: OK, I said these books would be good baby presents, and that's definitely true, but I could also see using the books to teach primary grade students how to use pictures to predict text or how to be good picture detectives. If I was teaching ECE, kindergarten or first grade, I would also want these books in a basket of trade books students could easily read, those NO DAVID kind of books that kids return to again and again. The last couple of years, Denver has been dry, dry, dry and everything has been brown and crispy. 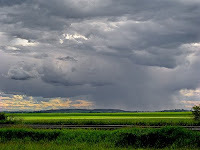 This summer, we have had a thunderstorm almost every afternoon. I love the green! Poetry Friday is at Crossover Books. Last weekend, my blogging friend Mary Lee (Year of Reading) was in town. I asked her about novels she had read recently, and she recommended THE MOSTLY TRUE ADVENTURES OF HOMER P. FIGG. On Monday, when I was at the library (notice I did not say bookstore! ), I picked it up. I have to agree with Mary Lee, it's a good one. In his hunt for his brother, Homer is captured by evil bounty hunters Smelt and Stink, meets Jebediah Brewster, a Quaker whose home is a station on the Underground Railroad, and travels as the "Pig Boy" with Professor Fenton Fleabottom, an elixir salesman with a few secrets of his own. His adventures (or misadventures) with these characters are funny and fun to read, but also include a great deal of information about life during the Civil War era. A couple of parts toward the end felt a little forced and were a little hard to believe. Mostly, though, it's a really good read. I'd use HOMER P. FIGG in a unit on the Civil War, maybe in a text set with ELIJAH OF BUXTON. I am always on the lookout for new versions of fairy and/or folktales, and especially those with a bent toward diversity. While I was at the library tonight (did you notice this does NOT say bookstore? ), I found a new to me version of the Hans Christian Anderson folktale, PRINCESS AND THE PEA. It's actually a couple of years old, so maybe everyone in the world has seen it, but I hadn't and I fell in love immediately. The story is set in Africa. The illustrations are one of my favorite genre, collage. This would make a fabulous addition to any folk tale collection. Tyler Paquette is an eleven-year-old boy, growing up on his family's dairy farm in Vermont. When his father is seriously injured in a tractor accident, the family is faced with hiring extra help or losing their farm. They hire three Mexican workers, who move into a trailer on the Paquette farm. One of the men has three daughters. Mari, the oldest, is about Tyler's age and the two children soon become friends. Although the workers are a godsend in keeping the Paquette family farm afloat, there are many questions. First, and most pressing, although the workers have papers, no one is convinced that they are in the United States legally. Will "La Migra" (Homeland Security) come and take them away?Secondly, Mari's mom left for Mexico to visit her sick mother in a year before and never returned. Where has she gone? Is she still alive? Finally, there are issues of culture and language. Mari writes about these issues, and others surrounding her family through the genres of letters and diaries (I love that aspect of the book). As someone who teaches many children whose families have immigrated from Mexico (some legally but many illegally), I learned a great deal from reading RETURN TO SENDER. I have always known that my students worry about their families being split up or sent back to Mexico. I know that their families have less to live on because they send a portion of their salaries to relatives back home in Mexico. I know that my students often go without medical or dental care because of their immigrant status. This book helped me understand these issues at a much deeper level. For those reasons, I'm really glad I discovered RETURN TO SENDER. So on Saturday, the roundup did ender. * with apologies to the REAL poets in the crowd! Sara Lewis Holmes (Read, Write, Believe) offers a tribute to her brother on Father's Day with e.e. cummings, "my father moved through dooms of love." Karen Edmisten shares Seamus Haney's, "Digging," a portrait of his potato farmer grandfather. Our friends at Stenhouse are in with a beautiful Walt Whitman poem, "On the Beach at Night." It hasn't gotten too hot yet in Colorado, but if you are feeling a little warm, you will want to check out Mary Helmrick's "Hot Summer Nights," brought to us by Beth at Stone Arch Books. 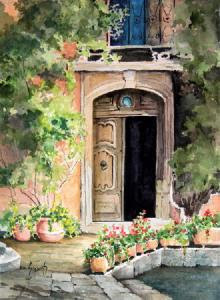 For a little more sunshine, travel over to Blue Rose Girls to read Frank Asch's "Sunflakes," posted by Elaine Magliaro. Smell summer with Debbie Diesen's original poem, "Mowing." Take another mini-vacation. Stand by a river with Tiel Aisha Ansari's beautiful "Osprey Circles." Wow, wow, wow! 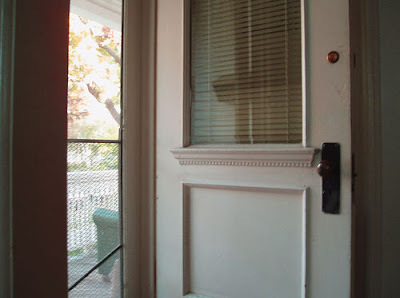 If you want to inhale a metaphor, check out Miss Erin Marie's poem, "Chasing White Rabbit." Julie Larios at The Drift Record has also drawn on a few fairy tales in her new list poem, "Counting Song." This very talented lady shares not one but THREE original poems today. Gregory K. throws in a little mathematics with his "Search Fib." The "Fib" is based on the Fibonacci sequence (think back to high school algebra). Gregory's is a "search fib" because he used words that had drawn people to his blog. Every week I tell myself I'm going to participate in Laura Salas' 15 word poetry challenge. I never quite get the job done, but I sure admire the variety and brilliance of the poems that pore in. This week's poems are in response to a photo of dominoes. Take along a couple of tissues when you read "Recital," Kelly Polark's poem for two voices. It made this mom get a little choked up. Like all of you, I've been more than a little troubled by the images coming from Ir*n. "Freedom," posted by Color Online was a perfect read for today. The way poet Jean Garrigue's puts together words in the poem, "The Grand Canyon" is almost as breathtaking as, well, as the the Grand Canyon. Thanks to Muriel at "The Write Sisters" for sharing this poem. Kelly Fineman shares Shakespeare's "Sonnet 30," along with a really in-depth analysis. If you have not been following Kelly's Shakespeare series this month, treat yourself. I've learned more from Kelly this month than I did in all of my high school and college literature classes. Little Willow is also in with a little Shakespeare, Act Four, Scene Five, from HAMLET. John Mutford offers "Noah" by Tom Dawes, and I think about all of the kids I knew/know who struggled to fit in as kids, but are inordinately successful, creative, wonderful adults. Laura Shovan (Author Amok) gives us Shirley J. Brewer's "Shoe Blues," a hilarious commentary on what I unaffectionately call "Short Occasion Shoes." After you are done laughing, wander over to Jama Rattigan's blog for a clothing cultural commentary, Kenneth Koch's "You Were Wearing. " Jules (7 Impossible Things Before Breakfast) shares "A Small Dragon" by Brian Patten . I could see myself pairing this poem with "If You Are a Dreamer" by Shel Silverstein or with Eric Carle's book, DRAGONS, DRAGONS. Pour a cup of coffee, then listen to Ted Boss read, "This Morning in a Morning Voice." I'll be thinking about the line "drowned in more than my fair share of joy" for a while. Thanks to Tricia (Miss Rumphius Effect) for sharing this beautiful "small moment" poem! Diane Mayr (Random Noodlings) introduces Jane Yolen's newest picture book, MY UNCLE EMILY, about Emily Dickinson. Then check out Lee Bennett Hopkins' newest offering, INCREDIBLE INVENTIONS, reviewed by Elaine Magliaro (Wild Rose Readers). The kids I know will love these poems about the origin of kitty litter and straws and velcro! Kurious Kitty. introduced me to a new to me poet, Jim Harrison. I want to go looking for his book, THE SHAPE OF THE JOURNEY, this weekend. April Halprin Wayland (Teaching Authors) shares five favorite poetry books, including Calling The Doves—El canto de las palomas by Juan Felipe Herrera, which sounds like a book I definitely need to know. Be sure you read all the way to the bottom of her post where she includes an original poem about reading, (poems AND reading-what could be better??? ), then try the poetry writing challenge. Tabatha describes her offering as a "poetry grab bag." She could have also called it a smorgasboard- a little Pushkin, a little Lucy Maud Montgomery, and a little twitter poetry. Sally at Paper Tigers wonders about children writing poetry. David Elzey wonders whether the old Burma Shave ads might provide a "template" for poems on Twitter. As someone who doesn't have lots of interesting stuff to Tweet (how many different ways can you say, "I'm driving my kids somewhere" or "I'm sitting at a sports practice waiting for one of my kids? "), I'm gonna try it. (A side note: Mary Ann Hoberman is doing some really clever twittering as "KidsPoetLaureat"). Sylvia's Poetry Suitcase, (Poetry for Children) sounds like a really fun way of making poetry real for children. I think I will use this idea the first week we are back in school. Mary Lee (Year of Reading) has a quote from Elizabeth Berg's newest book. It's not about poetry, but it's definitely too good to miss. Think that's everyone. If I left anyone off, it was totally accidental, so just email me and I will fix it. Thanks for participating in Poetry Friday! See you next week at Crossover! Y ou could write something new. Post you comment. I'll do a roundup at the end of the day. I collect books about words and language play. This week, while browsing at the LIBRARY (I really am trying to curtail my book buying a little), I found a book that I really HAVE to own. 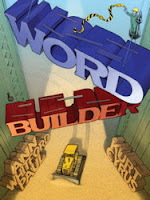 WORD BUILDER is poet Ann Whitford Paul's latest creation. The whole book is one long metaphor; Paul compares the writing of a book to the building of a city. "Begin with 26 letters of the alphabet. Pile your words like blocks into sentence towers. The sentences become "paragraph villages" that transform into "chapter cities" and eventually become "a book." The text is very simple. Most pages contain only one or two words, or maybe a sentence. It's Kurt Cyrus' fabulous illustrations that really drew me to this book. The book begins with a little boy, dressed in a hard hat. The little boy uses a variety of machines and tools, everything from bulldozers to hammers, to "build" the three-dimensional word illustrations on each page. I can picture kids like my son poring over these illustrations, then trying to draw their own. This book is a "gotta have." This weekend, the boys and I drove to Wichita for a basketball tournament. The drive is 506 miles of cornfields and prairie, so to entertain us, I took along a couple of books on tape. I wanted something we could all enjoy, so I got a John Grisham novel, THE LAST JUROR and also Tony Dungy’s new book, UNCOMMON. I thought the boys might like the fast pace/suspense of John Grisham, and even hoped they might like it enough to try reading a Grisham novel when we got home. They didn’t love that book, in fact, at one point, Son #2 asked me to turn it down because it was getting annoying. Interestingly, they loved Tony Dungy’s book, UNCOMMON, which I thought was great, but would have rather read than listened to. It helps to activate background knowledge and set the stage for kids. Grisham's novel was set in the South in the late 1960's and early 70's. The book opens with a murder, and then, predictably, is followed by a court trial. The jury consists of 11 whites and one black. My boys and I talk about Civil Rights and racism a lot. Even so, it was helpful to my boys to remind them of what they knew about Civil Rights, what year Martin Luther King Jr. died, etc. Chapter titles are tremendously helpful. John Grisham’s book didn’t have them. Tuny Dungy’s did. The titles helped set me up as a reader, and prepare me for what was coming. Many books don’t have chapter titles. In that case it seems like it would be particularly important to help kids activate background knowledge by using whatever was available- summarizing information from the previous chapter, leafing through the chapter to check for illustrations, photographs, or other visuals, thinking about what I knew about the author's previous works, etc. Maybe, if I use a book as a read aloud, I'll ask the kids to title the chapters, then use those titles the next time I read the book aloud. If you are reading nonfiction, and want kids to remember important information, it might be helpful to have them DO something either during or after the read aloud. Dungy’s book is kind of Christian “advice” book. We listened to all thirty plus chapters on the way back from Wichita. I doubt that the bos will remember much of it, however, simply because we didn’t spend a lot of time working with the text or talking about it. I plan to listen to it with them again one chapter at a time. I'm going to try to remember these lessons next year when I start reading aloud to kids. Ally is a fifth grade girl who wakes up on the first day of school, and excitedly dons the leggings, butterfly t-shirt, and rhinestone hair clip that she and Betsy, her best friend since kindergarten, have agreed to wear. When she arrives at the bus stop, however, she discovers that Betsy is wearing a matching outfit, but it doesn't match Ally's. Instead, Betsy is wearing the same jeans skirt as Mona, another girl that lives on their block. Ally's dreams of singing a duet of "Bridge Over Troubled Water" at the annual talent show, along with her hopes for a fun fifth grade year quickly go down the tubes. Because she has no one else, Ally becomes friends with Tina, a quirky new girl that moves into their class. Tina wears plaid leggings and a Princess Leia bun, asks for Hershey kisses from the principal's candy dishes when she is sent to the office, and seems determined to totally embarrass herself (and Ally) in the talent show. She also tells great stories, loves disco (Ally's favorite genre), can make an interesting experience out of anything (e.g. she rides Ally's bus route one day simply because she has never seen that side of town), and makes some unusual friends, such as George, a virtuoso violinist who associates with almost none of his other fifth grade peers. THANK YOU LUCKY STARS would be a nice book to have around for times when the fifth grade meanies strike. It's a story about surviving the ending of one friendship, and beginning new ones. It's a story about loyalty. It's a story about accepting and enjoying people who are a little different than you. A great fifth grade girl book. The year is 1955. The Supreme Court has ruled against segregation and twelve-year-old Rosemary Patterson is about to start sixth grade at T. Thomas Robertson Elementary School. Rosemary's best friend, James Jonson Stenson (or JJ for short) is supposed to attend with her, but then he gets polio, and ends up spending the year in a rehab hospital instead. Rosemary is the only black girl in her class, and she must face the stares and unkindesses of many of her peers. Things are not so great at home either- Rosemary's mom and dad are fighting a lot, eventually, her father moves out, and her parents divorce. Rosemary's main source of solace is a Rags, a half-dead stray cat she finds run over on the railroad tracks and nurses back to health. Gradually, Rosemary becomes friends with Grace, a white girl whose very southern father is not at all in favor of integration. 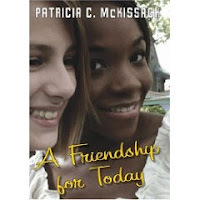 It is an unlikely friendship, formed by two girls who desperately need someone to hang onto. In a note at the end of the book, McKissack tells readers that although the book fiction, it is loosely based on events from her own life. She really was the only African American girl in her elementary school. Her mom and dad break up. And the book is dedicated to her cat, Rags, that kept her going through this very difficult time. This is not the best book I have read on this time period, but it's definitely a good story and a relatively fast read. I could see putting it in a text set with books like YANKEE GIRL, NEW BOY, and WATSONS GO TO BIRMINGHAM. LOUISE, THE ADVENTURES OF A CHICKEN is one of Kate DiCamillo's newest picture books. Louise is a chicken who gets bored at home, and regularly sets out to see the world. In her first adventure, Louise boards a ship, which is captured by pirates. As the pirates debate whether to friccase her, stew her, or serve her with dumplings, Louise jumps overboard, battles her way through a terrible storm, and eventually makes her way home to her safe, warm chicken coop. Next, Louise joins the circus, where she is very happy walking across a tightrope with a pink umbrella. A new adventure unfolds the day a lion escapes from his cage. In her third adventure, Louise travels to a bazaar in a faraway land, where she must rescue herself, and several other chicken friends, from a locked cage. This is a delightful story, with a kooky but oh so loveable main character, and a very sweet message about home and friendship. 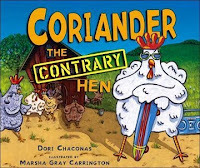 Coriander is a very contrary chicken. While the other chickens are content to sit on their ruffled bottoms in their soft nests in the henhouse, Coriander sets out to see the world. She builds a nest right smack in the middle of a road, and settles in for a nice long rest. This, of course, causes a horrible traffic jam. Farmer Bucket, then Mrs. Bucket, attempt to convince Coriander to move out of the road, to no avail. Finally, little Fanny Bucket is able to use a little reverse psychology to get Coriander to move. This is a really fun read, a kind of cumulative tale. I could also see myself spending some time talking about the interesting vocabulary- words like flippant and contrary. You could just enjoy these two terrific chiekn stories. You could also use them, however, to talk about character development, because both books have really strong, interesting, main characters. You could do great comparisons of Coriander and Louise (I'd probably start with Coriander, because I usually move from silly to more serious). If you wanted to add a third book to the mix, you could use the MINERVA LOUISE series by Janet Morgan Stoeke. As some of you know, this year, I got hooked on Barbara O'Connor. I started with HOW TO STEAL A DOG, which I think is still my favorite. Over this year, I've read through five others- GREETINGS FROM NOWHERE, FAME AND GLORY IN FREEDOM, GEORGIA, TAKING CARE OF MOSES, and most recently, BEETHOVEN IN PARADISE. On Friday, while I was working through the twelve-hour-waiting-for-teenage-sons in a variety of different places challenge, I read MOONPIE AND IVY. The book opens with Pearl, a tweenish kind of kid, sitting on the front porch at her Aunt Ivy's house. Pearl's mom, Ruby, has dropped her off at Ivy's house in the middle of the night, then disappeared with no explanation. Pearl is left, for almost an entire summer, in a little tiny town, in the middle of nowhere, with her Aunt Ivy, who she had never met before. Ivy's closest friend is Moonpie, a neighbor boy who lives in a shack, just over the hill, with his elderly, and very ill grandmother. I love Barbara O'Connor's novels. Her main characters are the kids I know- kids whose families don't have money, kids who don't have new clothes and dance lessons and dads that come home every night. They are kids who do the best they can in these tough situations. Sometimes they make poor choices, then have to deal with the consequences. Usually, they are kids who find friends in unlikely places and end up surviving in spite of all of the hard stuff in their lives. I have to tell you, I didn't love MOONPIE AND IVY. It's not because it doesn't have great characters or a terrific story, because it does. It's a typical Barbara O'Connor- beautifully crafted, quirky and likeable characters, terrific dialogue, a book you don't want to put down until you get to the last page. It's a great read, and one that I will definitely share with kids when we go back to school in the fall. I didn't love this book because it made me really, really sad. Pearl has a really hard life. The dropoff at her mom's house appears to be only the latest in a series of maternal missteps. Ivy is kind and caring, but she is very invested in taking care of Moonpie and his grandmother, not to mention a boyfriend that becomes a fiance over the course of the book. She sees the situation with Pearl as very temporary. At the end of the book, Pearl is with her mom and they are supposedly headed to a new life in Arizona, but it's not clear that that life will be any better than their previous situations. Ivy has given Pearl sunflower seeds to plant wherever she ends up (and also her phone number). Pearl bites into one of the sunflower seeds, deciding that her best hope is within herself. 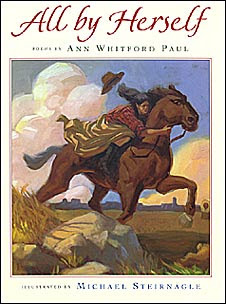 Lucky gal that I am, I won Ann Whitford Paul's ALL BY HERSELF in a Miss Rumphius Effect book give away (thanks so much!) about six weeks ago. It's been sitting on the top of the pile, and today I finally got to give it a good read. ALL BY HERSELF consists of fourteen biographical poems about women. Some are women you know well- Amelia Earhart, Rachel Carson, Sacajawea, Wilma Rudolph, Pocahontas, author Wanda Gag, and politician Golda Meirs. Others, however, are much less familiar- Harriet Hanson, who worked in the fabric mills of Lowell, Massachusetts; Maria Mitchell, a professor of astronomy at Vassar College; and Violet Sheehy, Ida Lewis, Kate Shelley, and Frances Ward, who all helped lead families, neighbors, and friends, out of dangerous situations. Each poem is presented on the left side of a two page spread, while the righthand side is devoted to a beautiful oil color painting by illustrator Michael Steirnagle. I could see using this book in several different ways. First, I'd love to use the poems as mentor texts for kids during a multi-genre biography unit. Some of the poems rhyme, and those would probably be hard for kids to emulate, but lots of the poems would be really approachable for kids. Second, I'd love to use these poems as examples of character traits like curiosity, leadership, perseverance, and courage. I'm always looking for real life heroes for kids to follow. This is not a new book (it's actually about ten years old), but it is definitely worth checking out. POETRY FRIDAY is at READ WRITE BELIEVE by Sara Lewis Holmes. Go check out her amazing original poem! I have been a horrible blogger this month. 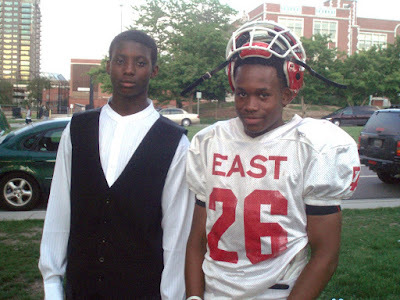 End of school, three graduations, football camp, football camp injuries, two basketball teams… YIKES! I'll be done with school on Friday, then I will be back to blogging more faithfully. In the meantime, here are my two handsome guys on the night of Son #2's eighth grade continuation.